These pretty dresses for girls are certainly eye catching, it's more about how she feels wearing it. We believe in dressing the whole child from the inside out. Our pretty dresses are really about standing out, and not fitting in. It's about empowering girls to bold and creative. To take chances and find creative solutions to problems. This is how pretty dresses can encourage girls to be strong and have their say in the world. As a parent of two girls, this is super important to me. Just as important is how our pretty dresses fit them. They're designed to be super comfortable, not rigid and stiff. These are the precious "Sunday Bests" of years past. To the contrary, these are special dresses for every day wear. We often say, "these dresses never see the inside of a closet." And because they require no special care, they can be worn every day. Parents often tell us, the hardest part about owning a TwirlyGirl dress is getting her to take it off long enough to wash. We recommend setting a trap. Laying a plate of cookies on the floor works for some families. In fact, I love to twirl, but if I see chocolate chip cookies on the floor, pretty dresses or no pretty dresses, I'll definitely stop twirling long enough to have a bite. Yes, I'm weak. But at least I'm being truthful. Same goes for rocky road ice cream. If I see it, I'll eat it. 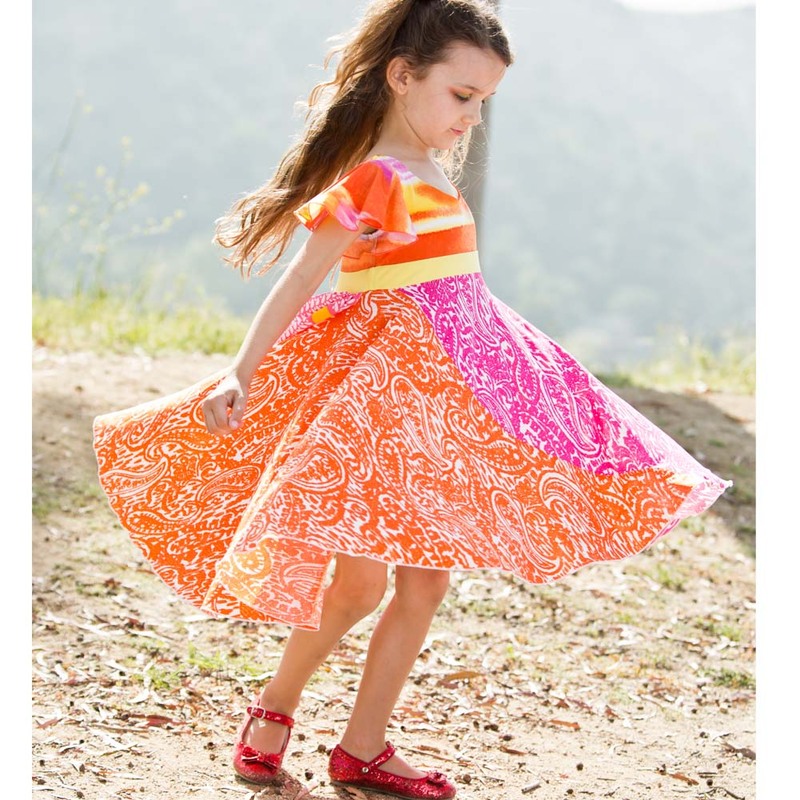 This Day Dreaming design is super Twirly® with a back train detail that adds more flair and flounce when she moves. Wearing a fancy frock doesn't have to feel restrictive. Quite the opposite. It should make her want to move and dance even more. Express that joy and wonder inside and look beautiful while doing it. This is confidence building the TwirlyGirl way.